ENGEO is proud to announce that its president, Uri Eliahu, has achieved the American Society of Civil Engineers (ASCE) award for Civil Engineer of the Year in the Private Sector. The award recognizes the professional achievements, leadership, management abilities, exceptional dedication and service of civil engineers working in the private sector. “This award is a wonderful honor, and I believe that it truly belongs to the people at ENGEO who are dedicated to the culture we have created here for the highest levels of service to clients and to the public,” says Mr. Eliahu. 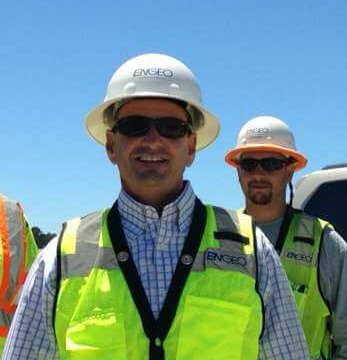 From this public-serving and team-building perspective comes his exceptional dedication to the civil engineering profession, which makes him a deserving recipient of this year’s ASCE Civil Engineer of the Year award. He has gained this honor because of his leadership with innovative engineering solutions, his integration of a successful “servant leadership” (or inverted pyramid) model at ENGEO, and his foresight and enthusiasm to advance the civil engineering profession. ASCE recognized Mr. Eliahu for his leadership of ENGEO and for his significant impact in the world of civil and geotechnical engineering at the ASCE annual dinner meeting in Burlingame on September 25, 2009.